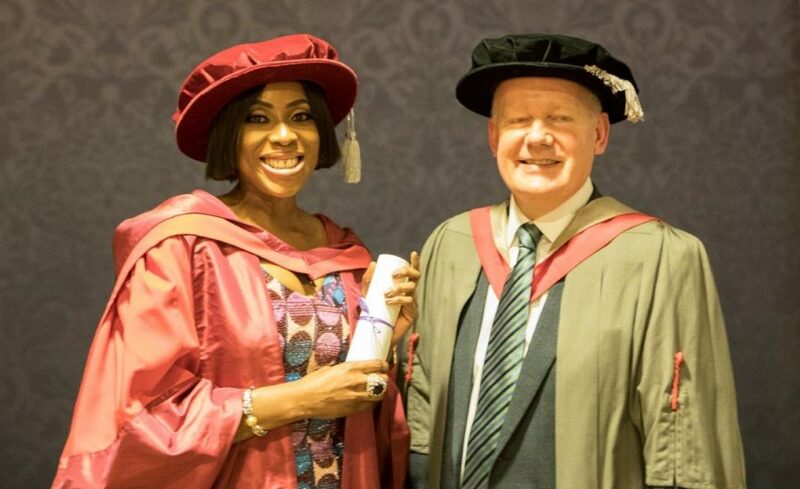 Lagos, Nigeria, 12 November 2018 – Today, the University of Westminster awarded Mo Abudu, founder and chief executive of EbonyLife Media, an honorary degree of Doctor of Arts, in recognition of her outstanding services to broadcasting and enterprise in Nigeria. 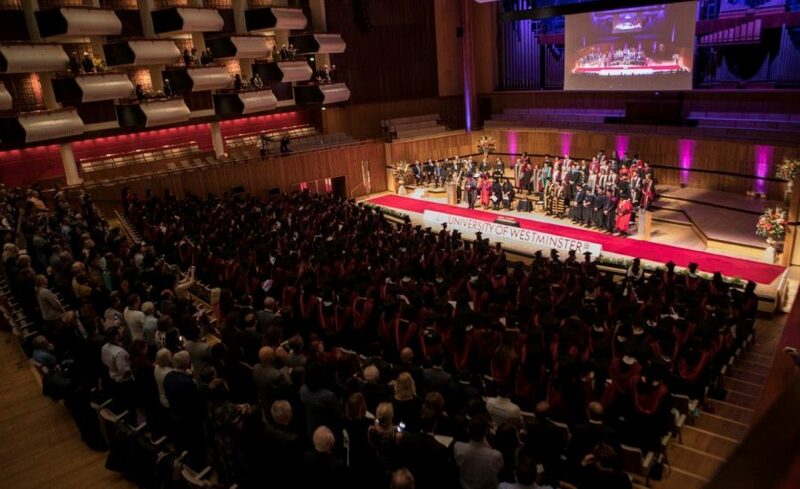 The presentation was made during the university’s annual graduation ceremony at the prestigious Royal Festival Hall in London. 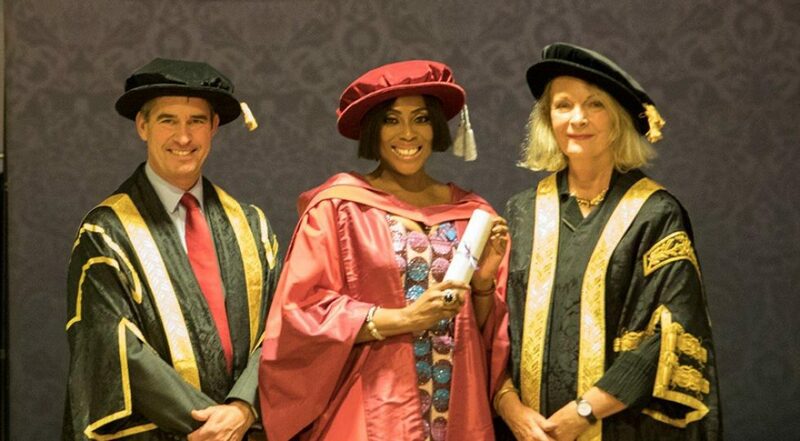 Despite a challenging business environment, 2018 has been a landmark year for Mo Abudu, beginning in March with the announcement by Sony Pictures Television that they had struck a three-project production deal with EbonyLife. The media group celebrated its 5th anniversary in July with the launch of EbonyLife ON, its global VoD service. In October, Mo was included in The Powerlist, the top 100 most influential people of African and Caribbean heritage in the UK, alongside Meghan Markle, Anthony Joshua and Lewis Hamilton. December marks the release of Chief Daddy, the fifth feature produced by EbonyLife Films, and Abudu will be hoping for a solid performance at the cinema box office, to close the year. 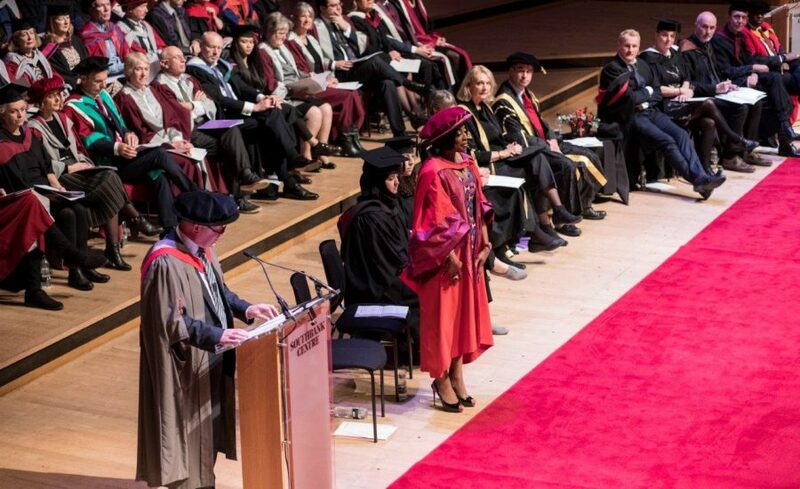 Abudu continues a proud tradition of accomplished Nigerians receiving honorary doctorates from prestigious universities abroad. 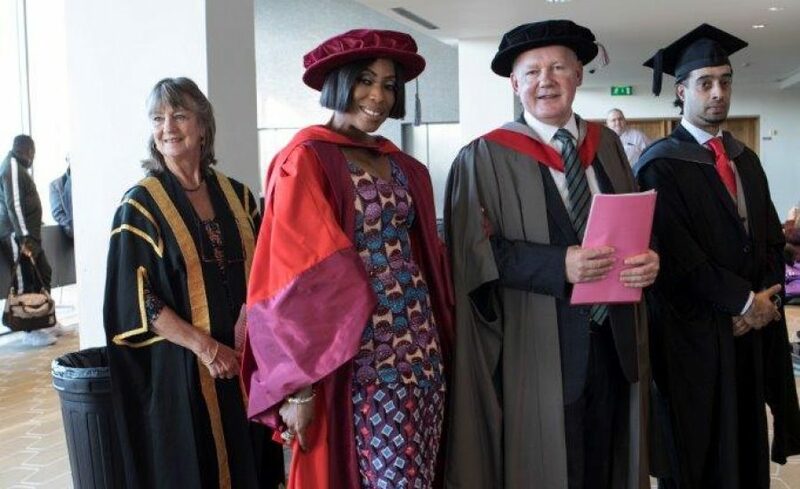 These include Chinua Achebe, who received over 30 degrees from Harvard, Brown and other universities; Wole Soyinka (Yale, Harvard, Princeton); Ngozi Okonjo-Iweala (Yale); Chimamanda Adichie (Johns Hopkins, Edinburgh, London); Aliko Dangote (Coventry); and David Oyelowo (South Bank). The University of Westminster began its tradition of academic excellence in 1838, as Great Britain’s first polytechnic. It was created to demonstrate new technologies and inventions to the public, and played a significant role in the popularisation of science. Fittingly, it was the venue for the first public moving picture show (movie) in the UK in 1896 and offered the first degree courses in Photographic Science, Photography and Media Studies in the 1960s and 1970s. 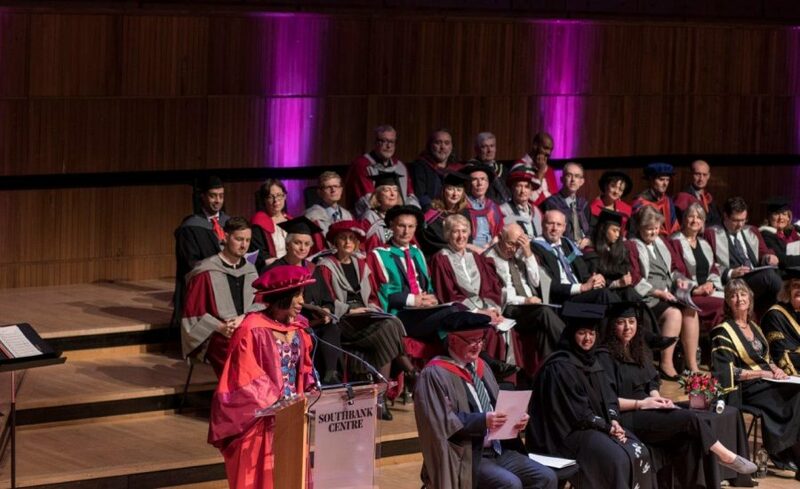 Now with over 22,000 students spread over four central London campuses and thousands more in affiliates overseas, Westminster continues to be a leader in advanced education for architecture, law, languages and science, amongst other subjects.